Prof. William A. Curtin, Jr. 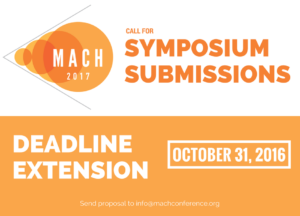 The deadline for symposium submissions for the 2017 Mach Conference has been extended to October 31, 2016! The names of potential speakers (if available). The Mach Conference will be held April 5 – 7, 2017 in Annapolis, MD.